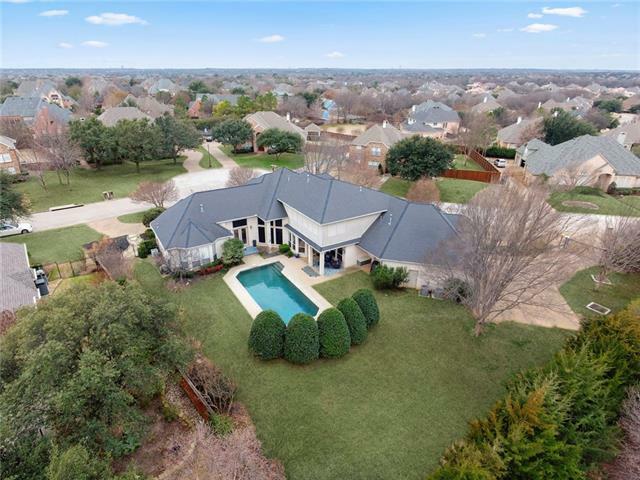 All Oak Tree Estates homes currently listed for sale in Southlake as of 04/20/2019 are shown below. You can change the search criteria at any time by pressing the 'Change Search' button below. "Major Price Improvement! Lowered by $50K, new carpet and paint in this trendy, unique contemporary home. Home is situated on an amazing large corner lot. White transitional kitchen boasts stainless steel appliances and granite, open to family and breakfast rooms. Enjoy walking straight out to stunning salt water pool and covered patio. All three bathrooms remodeled including counter tops, tile, lighting, plumbing fixtures and cabinets. Huge media room upstairs, perfect for movie night! Large mul"